Following the November 2016 election, 28 states have legal cannabis in one form or another. Moreover, recent studies show that a majority of the U.S. population is in favor of abolishing federal regulation of marijuana. With these unprecedented drug policy changes have come waves of both excitement and trepidation. These feelings concern the place of cannabis in the mainstream American business model. In order for businesses to capitalize on rapid industry growth, they must modernize their approach to marketing through novel cannabis branding efforts. rs are not the same. There are a variety of factors in cultivation and processing which contribute to the quality and potency of buds. At the most fundamental level, cannabis branding begins with dedicated growers who preserve a genetic lines and produce flowers in a consistent fashion. This same devotion to consistency is also upheld during all processes of drying, trimming, curing, and storage. With these factors, cannabis customers have come to trust in a level of quality and reliability when purchasing flowers and concentrates. This process has traditionally created “brand loyalty” and subsequent cannabis branding. In order to help our readers get a better feel for the place of cannabis branding in the contemporary market, I got Portland Oregon area cannabis marketing expert and Ryan Michael on the phone. Michael is the CEO of a boutique marijuana industry marketing firm named KindTyme. He is extremely well-versed on the cannabis space in general. What sorts of designs is the cannabis industry customer base finding the most appealing? How would you compare cannabis marketing to more traditional forms of marketing, such as seen with tennis shoes? Do you foresee large/mainstream marketing firms moving into the cannabis business? What sort of advice would you have for cannabis companies out there looking to set themselves apart from their competition? The confluence of the cultures of marijuana and mainstream America presents many possible progressions and regressions for the overall legitimization of the industry. 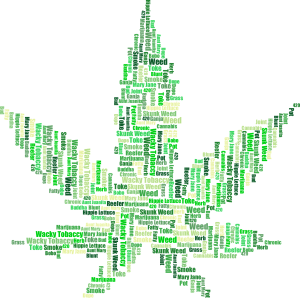 According to the Arcview Group, legal cannabis sales are expected to grow to a staggering $18 billion by the year 2021. The recreational marketplace lays claim to a vast majority of this staggering figure. But, as stated by Michael, U.S. federal prohibition efforts place cannabis oriented businesses in a very unique place when it comes to cannabis marketing. For example, trademarks aren’t supplied by the U.S. government for cannabis products, so companies find it challenging to protect their respective product lines. As a result, for many cannabis business owners, the struggle for legitimization comes hand-in-hand with cannabis branding. To this end, the contemporary brand aesthetic for recreational cannabis is couched in a need for nationwide acceptance. It is up to the imaginings of companies like Michael’s KindTyme to bridge the gap between the traditional counterculture and the novel mainstream. Perhaps the most successful cannabis branding efforts to date are those involved with celebrity figures as well as those with a luxurious mystique. These brands also provide the most potential problems. Cannabis marketing experts theorize that celebrity brands have an advantage over their competition in the recreational market. Because, some celebrity names are almost synonymous with marijuana, such as Snoop Dogg, Bob Marley, and Willie Nelson. Moreover, pop-culture figures like Clement Kwan and Scott Campbell are entering the recreational cannabis market with brands such as “Beboe.” This particular brand portrays the extravagance and glamour of Hollywood. The consequences of this infusion of pop-sheik marketing into cannabis branding are somewhat difficult to discern. To illustrate, there is an overwhelming concern that a real dedication to quality cannabis products will be disregarded in favor of celebrity names and glitzy packaging. Controversy and speculation aside, businesses should work hand-in-hand with cannabis branding companies such as KindTyme to make the industry more legitimate in the eyes of conventional America. It’s easy to forget where we came from. Cannabis use has grown in popularity largely due to forward-thinking legislation concerning a medicinal product. That being said, the medical community will perhaps benefit more than any other element of the industry through effective cannabis branding. Because, properly branded medical cannabis products must promote a standard of consistency and transparency. 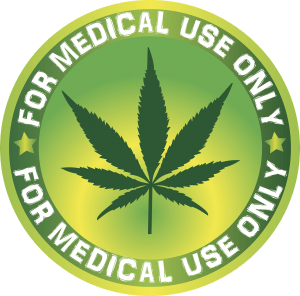 Truly sick cannabis patients must to be able to depend on consistent medicine. This notion can only be realized through the standardization of marijuana product lines. The up-and-coming medical cannabis marketplace should be driven by a medically sanctified professionalism and integrity founded on patient needs. With consistently produced and labeled medicines, cannabis patients can make informed consumer decisions. Moving forward, a medical cannabis branding infrastructure based on consistency and transparency most resembles traditional cannabis brand loyalty. Looking back, this relationship existed purely between skilled growers and tasteful consumers. This article originally appeared in the June/July 2017 edition of HydroLife Magazine.